Wisconsin’s 2011-2013 biennial budget bill increases the amount for which one may sue in Small Claims Court from $5,000 or less to $10,000 or less. The new, higher jurisdictional amount applies to civil actions (a) for money judgments; (b) for garnishment or most attachments; or (c) to enforce a lien upon movable assets. In addition, eviction actions are always filed in Small Claims Court, and are not subject to the dollar limitation. It is easier to sue. The filing fee in Small Claims Court is $94.50, as compared to $265.50 a large civil claim, making the decision to pursue a judgment easier from an economic standpoint. More importantly, navigating your way through a small claims case is much easier than handling a large civil claim. Small Claims Court is very informal, and in most counties, your matter will be heard by a Court Commissioner rather than a Judge (although either party can challenge the Court Commissioner’s decision within the applicable time limits and have the case heard by a judge or jury). Procedural and evidentiary rules are not strictly enforced, and the Court Commissioner will typically help identify the issues. Further, business entities are typically permitted to have a non-lawyer (such as an owner or agent) represent the business in Small Claims Court. This is not always the case in large claims, where a business entity may be required to have an attorney. It is easier to be sued. For all of the reasons stated above, business may find themselves defending more lawsuits as well. There is less incentive to take a reduced amount to settle accounts under $10,000. Previously, an account for $6,000-7,000 might be settled for $5,000, simply because suing for the full sum due was not worth the cost, time and hassle required to file a large civil claim. Raising the jurisdictional amount from $5,000 to $10,000 may provide a disincentive to make such reductions. The $10,000 limit does not apply to third-party complaints, personal injury claims or tort claims, which remain at the current $5,000 or less limit. The law will also permit the State of Wisconsin to pay claims of up to $10,000 without legislative approval. 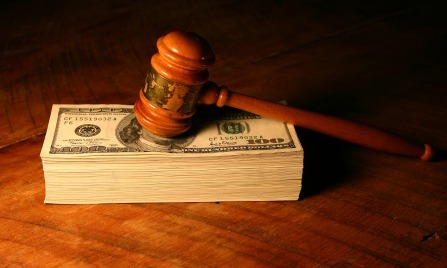 The new law applies to small claims actions filed on or after July 1, 2011. Contact Info: If you are filing a lawsuit, or are being sued, call a corporate lawyer Wausau for a free phone consultation. Get more information about small claims procedure in Wisconsin. Learn more about corporate lawyer Wausau. 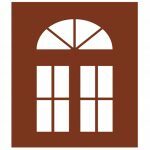 If you have questions about business formation, LLPs, the purchase or sale of a business, or a business dispute, call a corporate lawyer Wausau at our law office for a free telephone consultation. Call 715.843.6700 to speak with a corporate lawyer Wausau. Corporate lawyer Wausau serving businesses throughout north central Wisconsin.